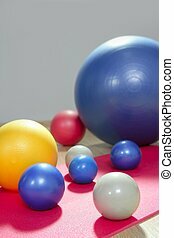 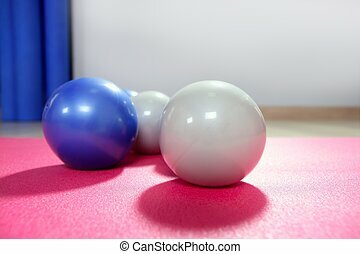 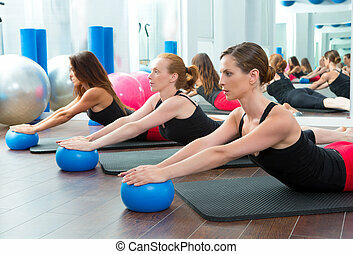 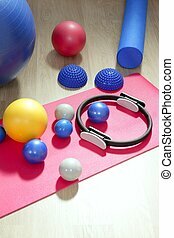 Balls stability and toning pilates sport gym yoga mat. 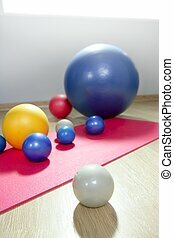 Balls stability and toning pilates sport gym on red yoga mat. 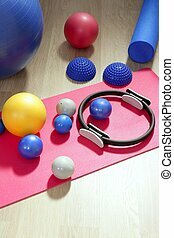 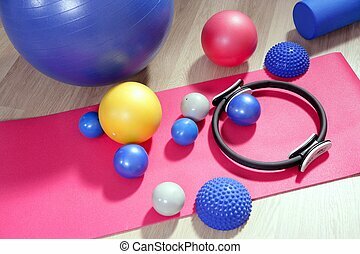 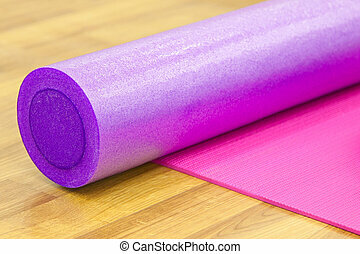 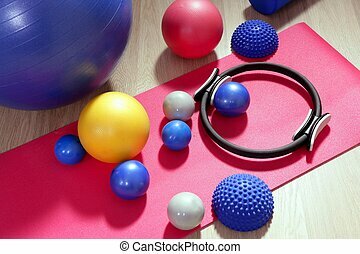 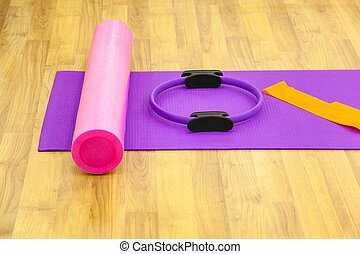 Aerobic pilates stuff: magic ring ,roller, yoga mat. 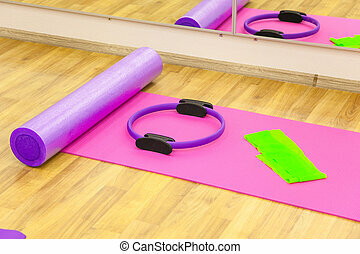 Aerobic pilates stuff: magic ring ,roller, yoga mat on the parquet next to the mirror. 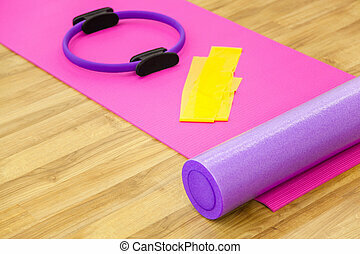 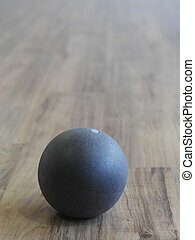 Roller, yoga mat on the parquet. 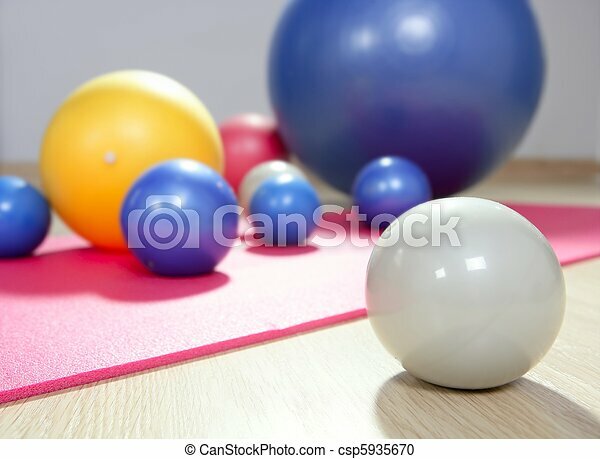 Close-up shot. 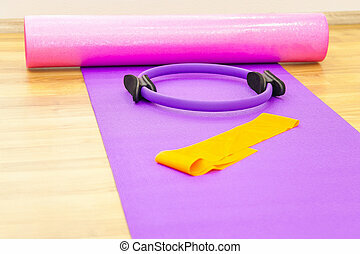 Roller, yoga mat, stability ring and yelow cloth on the parquet. 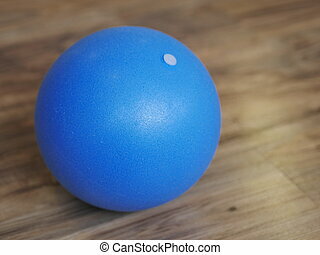 Close-up shot. 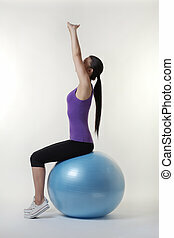 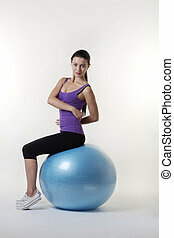 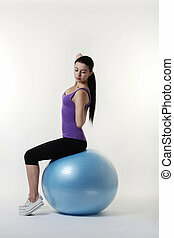 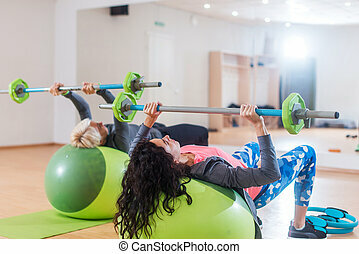 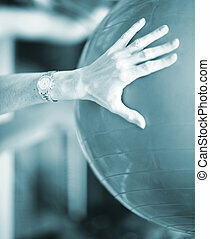 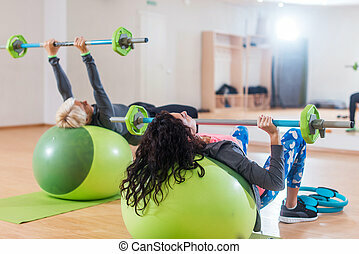 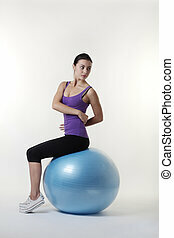 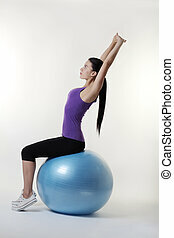 Back view of two women lifting barbell lying on stability ball while exercising in gym.